Happy Monday, darlings! 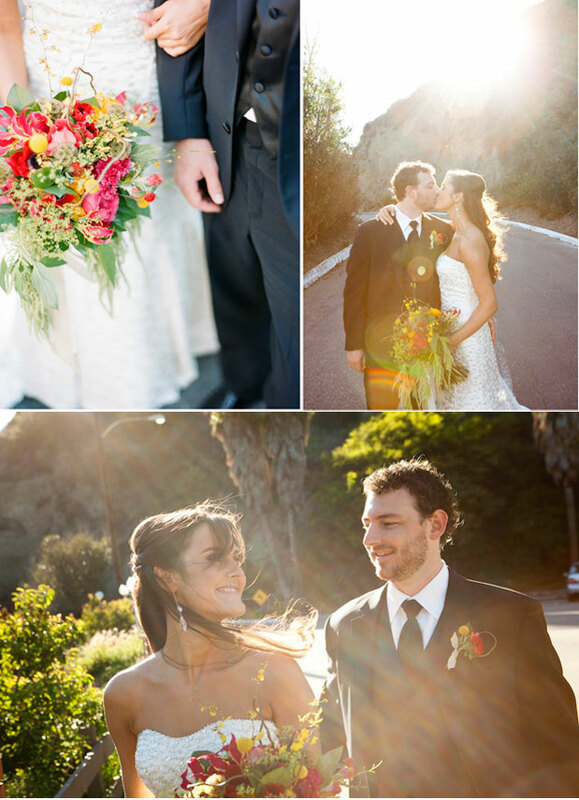 Today, we’re a wedding with so much floral goodness, it’ll be hard to look away. 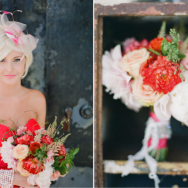 Fabulous floral designer Lauryl Lane sent over these beautiful images shot by Braedon Flynn. Um…best team ever! 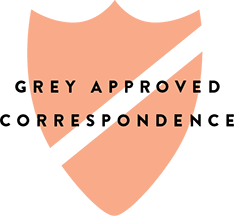 All the vendors read off like a list of faves: Paper by Wiley Valentine, Cakes by My Sweet and Saucy, Planning and design by Chic Celebrations. Just too lovely! 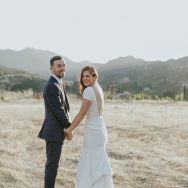 Photography – Braedon Flynn, Planning and Design – Gianna SanFilippo, Chic Celebrations, Floral and Backdrop Designs – Lauryl Lane, Venue and catering – Aliso Creek Inn, Desserts – My Sweet and Saucy, Custom Invitations – Wiley Valentine, Other paper goods – bride and groom. 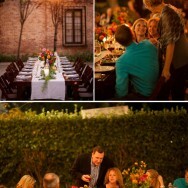 Rentals – Classic Party Rentals. Lauryl knocked it out of the park with those florals! What isn't to love about this post?? Those florals are to DIE. Lovely shots as well! an absolutely perfect team behind the scenes! Her bouquet is insanely gorgeous! Wow! This looks like an elegant and beautiful wedding. I love it! Great photography. 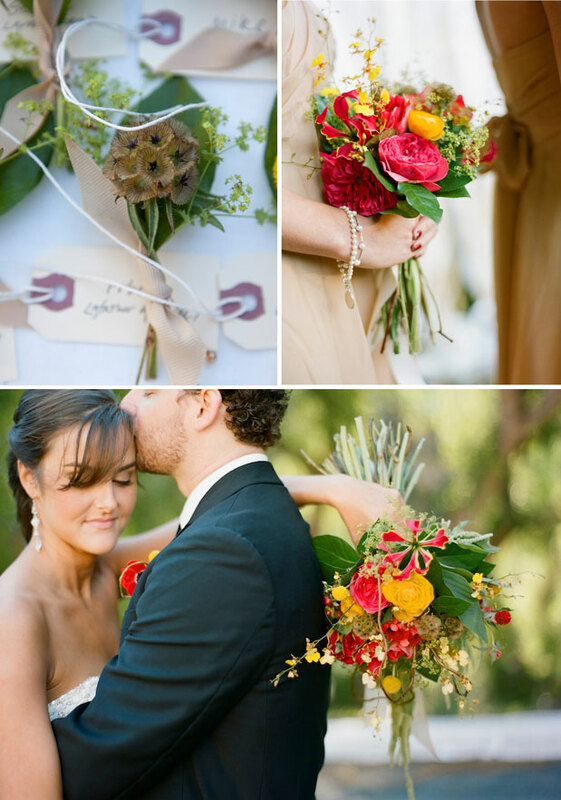 Love that gorgeous wild bouquet! Love the wedding cake so much, looks so tasty. Vibrant flowers are stunning too. Love the florals. The boutineers are amazing! love that dessert table! 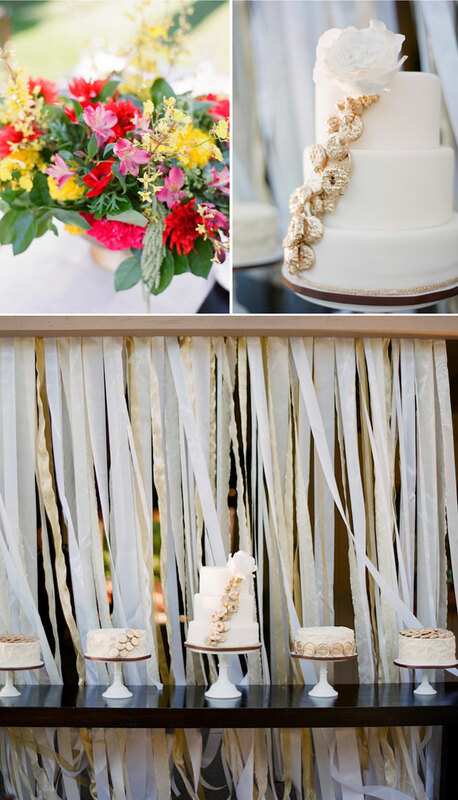 the ribbon backdrop is just fabulous! 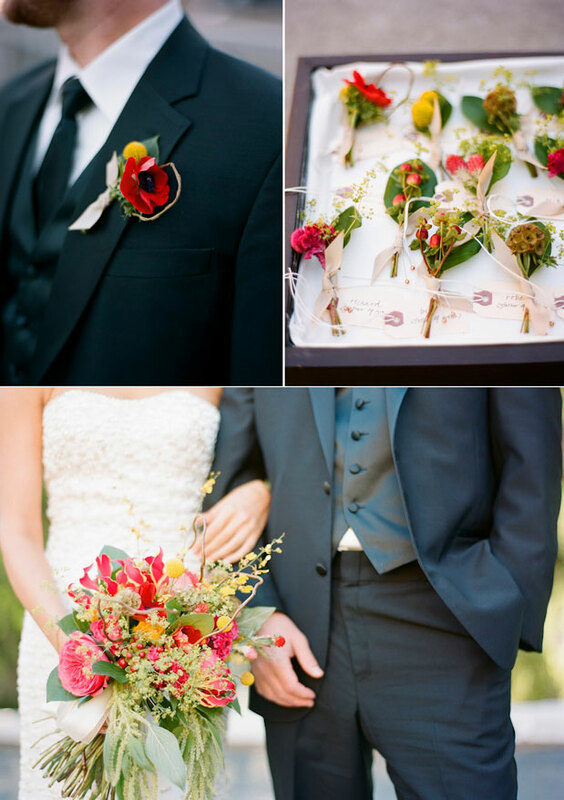 I just featured this as one of my weddings of the week, i'm crazy about the boutonnieres! 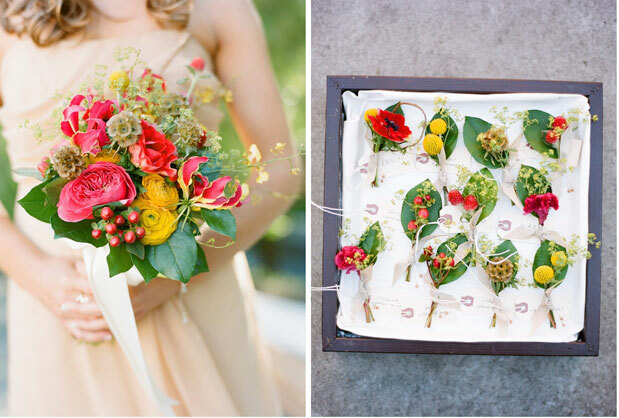 I love the bold, mixed floral bouquets! Yoou've left me sooooooooooo inspired . . .
Looks like an elegant and beautiful wedding. Thanks, this is in every respect what I need to know. I wish you all the best and every success in future.